Seeking a K9 team for an active search? We do have teams that are ready to assist with active searches. Please contact us via phone. Emails may delay us getting to you in a timely manner. Want more information about K9 Search & Rescue? Do you want to become involved in K9 Search and Rescue or ready to learn more? We would like to hear from you and involve you in our training. We will help you train your K9. Don’t have a K9? We can give you some advice and tips on making sure your K9 would be suitable for search and rescue operations. 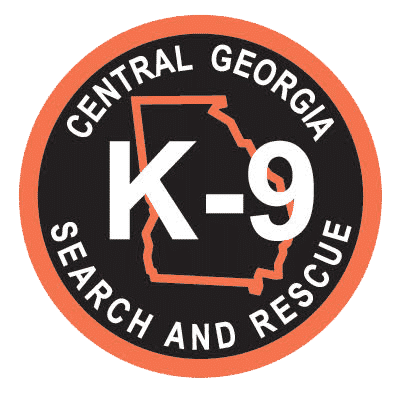 Central Georgia K9 Search and Rescue, Inc is a 501(3)c domestic non-profit corporation. We are a volunteer organization where each member is responsible for their own expenses. Donations are gratefully accepted and are also tax deductible.